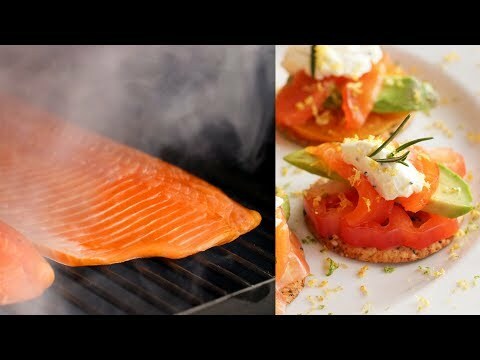 Enjoy cold smoked cheese, salmon, cured meats and more using your Traeger wood burning pellet grill. This optional chamber attaches directly to your Traeger pellet grill. It features two removable porcelain grill grates, a dome thermometer and a warming vent that can be opened and shut to allow for a warmer or cooler smoke. Fits Pro Series 34 & 22 (with side handle removed), Lil' Tex, Lil' Tex Elite 22, Texas and Texas Elite 34 pellet grills. Easy to follow installation instructions are included, and installation will require two people. HI, Larry. The Cold Smoker doesn't have pilot holes for a handle to be attached. Does this fit the Pro Series 34? According to Traeger website, it doesn't fit Pro Series 22/34. Great question! It will fit the Pro Series 22 & 34, but with some minor modifications to the grill. You'll need to remove the side handle and two shelf mounting screws to attach it, and possibly use some gasket tape for the connection. This has worked perfectly for other customers.